By Freeola Support on 1st April, 2019 | 0 Comment(s) | 2 out of 5 people found this article useful. 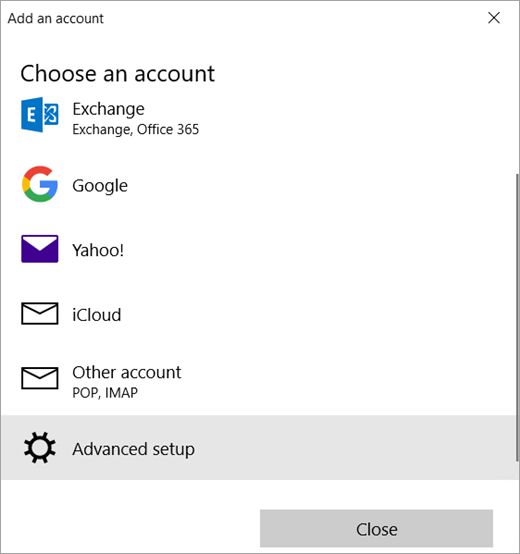 Select Add account.﻿ Then choose Advanced Setup. You may have to scroll down to see this option. Enter your Email Address, Username and Password as shown in your MyFreeola Account into the relevant fields. Enter your Account Name as whatever you want to see in the left pane of Mail for Windows 10, as well as in the Manage Accounts pane.﻿ This can be anything you want, although we would recommend something that would allow you to easily identify this account in future. Within Send your messages using this name enter the name you want recipients to see when they receive your message.﻿ Most people will use their name or business name here. Click Finish/Sign in then Done.